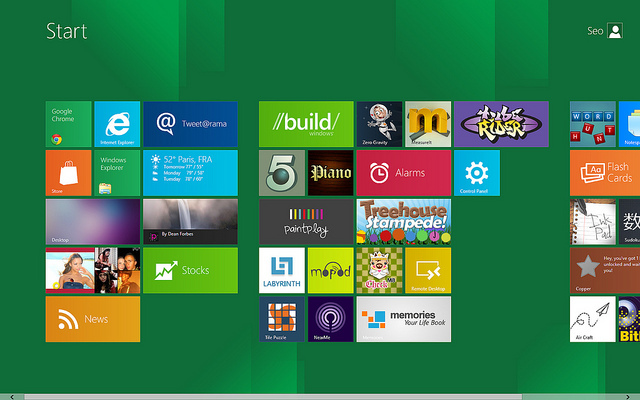 Microsoft says Windows 8.1 will present free for existing users on October 18, 2013 later. This updated version will focus on the development of substantial comfort with friendly interface like the multitasking motion that was refurbished and better Start button. Windows 8.1 will be launched first time free of charge. Although the company has been planning update “Service Pack” that contain bug fixes and security enhancements. According to CNN Money page, there are a number of reasons why Microsoft uses this way for his updates version. Software updates can now be more consistent and effective outreach to consumers via the Internet. It would make sense to issue an upgrade and development time of ready rather than having to wait for the release of every three to five years. Since Microsoft is positioning itself to be a company-based devices and services, then they will more strictly control the Windows 8. The easiest way to reach out to the community is to give it away for free. It might look weird when Microsoft gives away the most PC operating systems dominated the world market it for free, especially when Apple still pegged the cost for his operating system. However, the time has changed. Updated version of the mobile operating system now is always free, and Microsoft built WIndows 8 tablet it works just like a computer. Update on additional charge would deter most users of Windows 8 to update the software. Related to "Microsoft Launches Windows 8.1 on the October"